the instructions to make the basic "drawbridge" type of prop that I used for both of these dramas. This week I took off the blue plastic and covered the cardboard with stone paper. Then the stone wall stood up straight until the 7th time of marching around it. On the 7th day when we all gave a shout and blew our ram’s horns. Then the wall fell down flat. I could have made this a lot more intricate, say with four walls instead of one. What I love about children’s ministry, though, is that the kids were quite happy with this one simple wall. 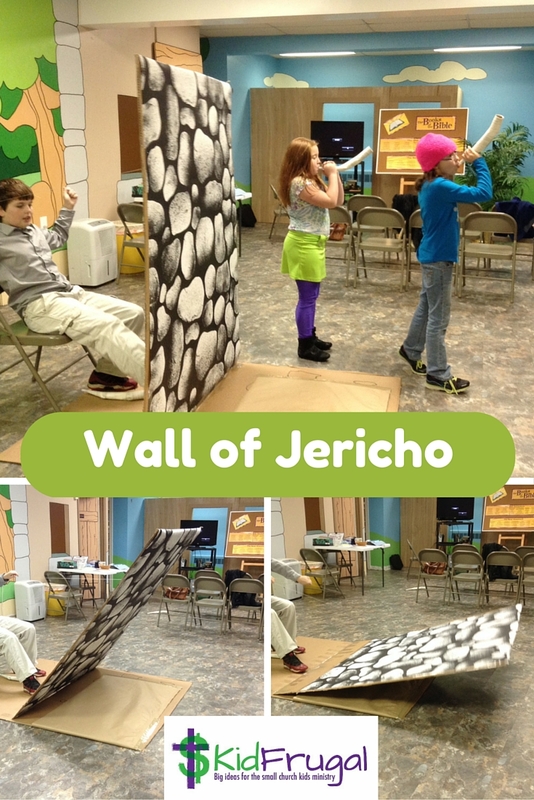 After church today, one of the boys dragged my adult daughter downstairs and made her act out the whole story, marching around the full number of times, while he narrated and dropped the wall at the final moment. I love it when kids are engaged in the Bible story. Want to make the ram's horns that the kids are using? 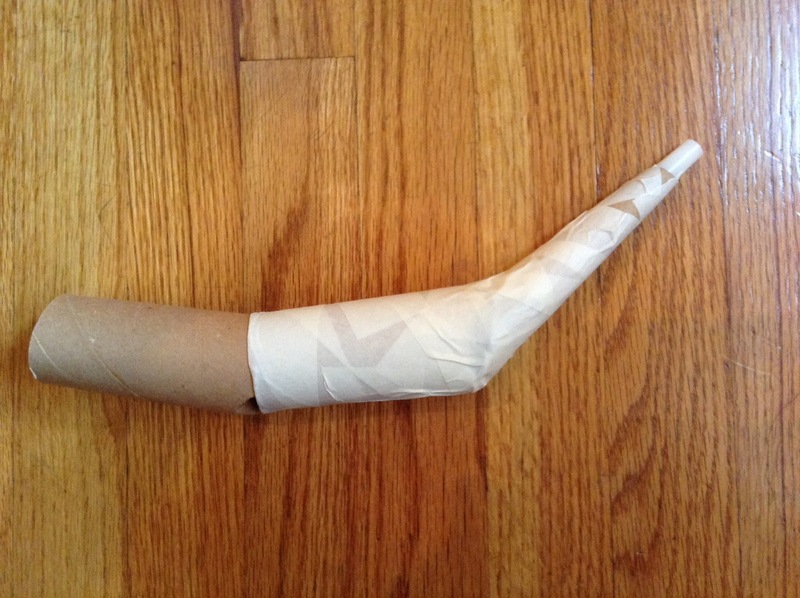 The instructions are In my DIY Ram's Horn Tutorial - click here for the link.